Expect to get updates on Apple's low-cost 2018 iPad. Apple may have only debuted its latest iPads at the end of 2018, but it is reportedly gearing up to launch at least two more in the first half of 2019. According to a new report, Apple touchscreen suppliers are expecting new “entry-level” iPads, including a new iPad mini and an upgrade on last year’s cheaper 9.7-inch iPad. There’s little more in the report to clue us in on what to expect. The two panel makers cited in the article are General Interface Solution (GIS) and TPK Holding, both of which have worked with Apple for some time. GIS will supposedly produce 40 percent of the new iPads, while TPK and the China-based O-film Technology will produce the other 60 percent. Coming soon to an Apple Store near you? This isn’t the first time we’ve heard about new iPads scheduled for the first half of 2019. Ming-Chi Kuo first discussed an iPad mini follow-up back in October, supposedly set to launch in late 2018 or early 2019. 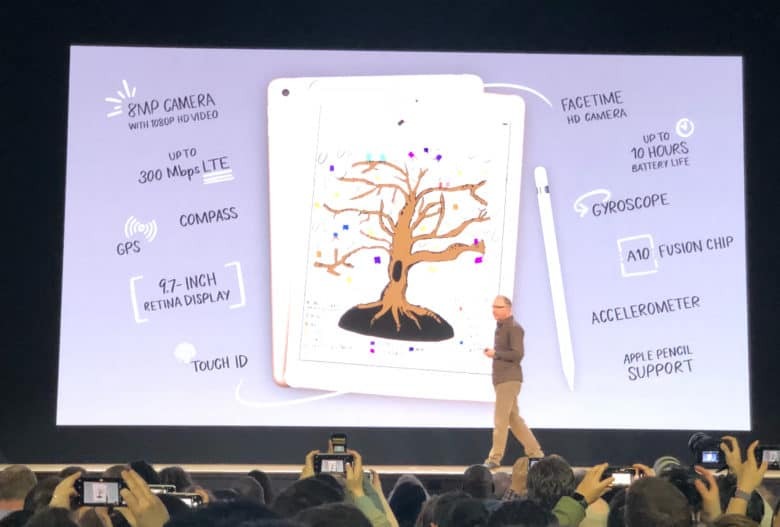 Other reports then followed, also mentioning a refresh of Apple’s most affordable current iPad, which launched in March 2018. The last time Apple upgraded its iPad mini line was way back in September 2015 when it introduced the iPad mini 4. Recently a photo which appeared online claimed to show the new iPad mini 5. Considering the backlash against Apple’s higher prices for the new iPhone models, this could be a welcome move on Apple’s part. The 9.7-inch iPad from last year retails for $329, making it a great deal for iPad fans who don’t necessarily need all the features of the iPad Pro. The iPad mini 5 could be even cheaper than that.